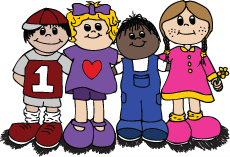 Our Mission Is: "To Make Children Smile"
Making the decision to enroll your child in a daycare center or a preschool can be an overwhelming process. Many daycare centers and preschools across Phoenix, AZ have a drawn out preschool enrollment process from waiting lists to interviews and child assessments that can make your head spin. That’s it! Best of all, local families love our daycare environment because we offer hourly, daily and weekly rates, so you can choose when your child needs the care. We don’t lock you into a contract or require a deposit to secure your child’s spot in our classrooms. You will also never need to pay a registration fee at our family-friendly Phoenix daycare center. What is included in the preschool tour? Our facility tours allow you and your child to interact with our teachers, see your child’s environment firsthand, including their play area, and other areas where we provide meals and snacks. You can also see the security measures we have in place to protect your child including childproof doors and gates. The tour day is also a great opportunity for you to pick up the enrollment packet to pre-fill before your child’s first day. What information should I bring along with the child care or preschool enrollment packet? To start the preschool enrollment process, we request you bring all your child’s immunization records along with the enrollment packet on your child’s first day. All payments must also be paid in advance for the hours, days or weeks that you plan to enroll your child. We accept all major debit and credit cards, cash, and checks as authorized methods of payment for child care services. Getting started at our Phoenix daycare center is really as easy as these three steps, so give us a call to schedule your tour. We can’t wait to meet you and your child! 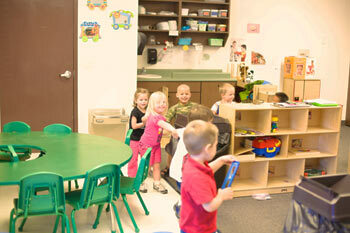 About Valley Child Care & Learning Center: We are an Arizona Department of Economic Security certified location. We are also members of the national and Arizona Child Care Association. Every member of our team is CPR and first-aid certified to act quickly in the case of an emergency. We have an open-door policy to parents and legal guardians and have a strict child check-in and check-out process for your child’s security. If you have any questions about our facility and teachers, contact us online or by phone: 602-938-3100.